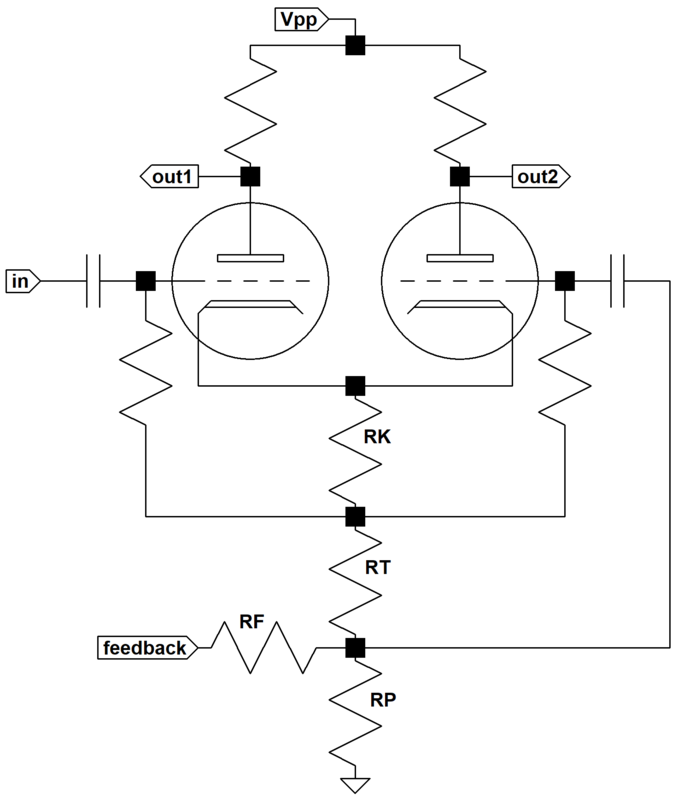 The long-tailed-pair phase inverter with negative feedback from the output transformer is one of the most ubiquitous architectures in guitar amplifier electronics. A signal from a tap in the output transformer secondary drives the feedback input to the phase inverter to counteract the amplified signal. The resulting closed-loop gain, measured from the phase inverter signal input to the speaker, is less than the forward, open-loop gain without feedback. The calculator assumes that the resistance 2(RK+RT) is much greater than RP.